S Gopalakrishnan's passion for gizmos goes beyond BlackBerrys and iPods. 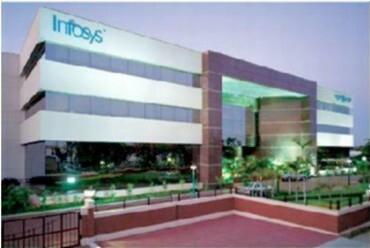 The Infosys head tells Bibhu Ranjan Mishra he likes to "play around with new technology"
S Gopalakrishnan, chief executive officer and managing director of the $6 billion-odd Infosys Technologies, cannot recall the name of the movie he last saw in a theatre. It was a 3D movie...aah! Avatar, the name comes back to him. But even here what struck him most was not the story "of course, it was good" but the sophisticated animation technology. "A lot of companies are doing animation out of India. This is a huge opportunity. I strongly believe that anything that is people-intensive in the field of technology is a huge opportunity for us," says the self-confessed gadget freak. Gopalakrishnan, or 'Kris' as he's called, developed a fascination for gizmos in college, and it's continued to this day. 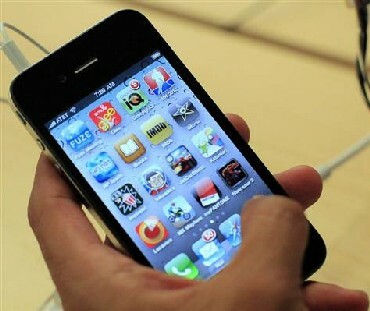 He uses three smart phones - a Samsung Galaxy android phone, an iPhone 4 and one HTC-made Windows mobile phone. 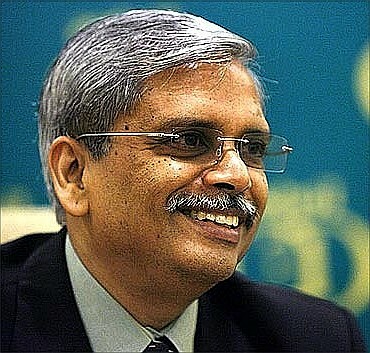 When abroad, Gopalakrishnan uses the Windows mobile phone and within the country he uses the iPhone 4 which he feels has "the best user experience"
As for the Samsung android phone, it has a BSNL connection for the many parts of India which have only the BSNL signal. Gopalakrishnan also has an iPad, a Samsung Galaxy Pad - recently acquired at the G20 Business summit in Seoul - a couple of iTouch music players, and two digital cameras - one for stills and another for video. "I like to play around with new technologies. So I keep changing my phones and other equipment to keep up with the new releases. It also keeps me on my toes because I have to constantly learn new interfaces and new ways of doing things," says the die hard techie. He has also learnt how to install, upgrade and transfer data from one phone to another on his own. "I enjoy doing that." 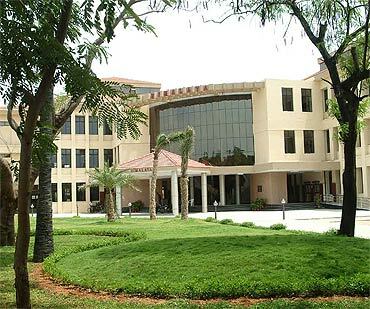 Gopalakrishnan was introduced to computers at Indian Institute of Technology-Madras where he was doing a post-graduation course in physics (he did an MTech in computer science subsequently). That computer was an IBM 370 Mainframe system, probably the second largest Mainframe computer in Asia at that time. "I was fortunate to get access to it and I did not miss any opportunity to experiment with multiple systems. In IIT-Madras itself I was introduced to a timesharing system. 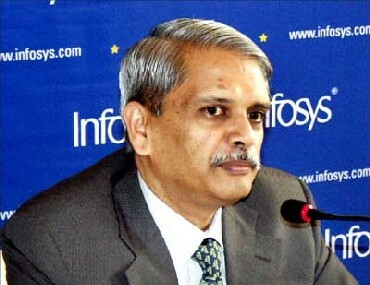 In fact, one of my MTech projects was to write an online editor to feed programmes into the Mainframe because the Mainframe at that point was a batch system," Gopalakrishnan says. Interestingly, Gopalakrishnan used to be quite a nifty off-spinner in college. These days, of course, he gets no opportunity to hone his cricketing skills, except for the cricket matches organised at Infosys. Yet another interest, photography, has suffered because as head of India's second largest IT company, he seldom gets the time to pursue it seriously. When in India, Gopalakrishnan's day starts typically at six in the morning. Even though he is not an early bird in office like N R Narayana Murthy, founder-chairman of Infosys, he is in office by 8.30 am. He leaves office by 7 pm. But most of his evenings are spent at home taking calls of American clients - those he considers of "utmost priority". So does he get any time to spend with family? Gopalakrishnan says he makes time with his daughter Meghana who is in school, and take his family on a holiday at least twice a year - one in April-May and another in October-December, when schools are closed. The last trip was a week-long cruise to Alaska. Even here, with his busy schedule, there's seldom time to plan a trip, so the family often ends up picking whatever is available. Reading, especially to keep abreast of technological advancements and "understand the implications of the evolutions happening in IT", is the other thing Gopalakrishnan manages to find time for. He is now reading The Power of Pull by John Hagel III, John Seely Brown and Lang Davison on crowd sourcing, the uses of social media and how to leverage networks to change the way individuals and businesses work. He likes fiction as well, but Gopalakrishnan confesses he does not like poetry much. Among Indian authors, he has enjoyed Ramachandra Guha's India After Gandhi, and most recently Gurucharan Das's The Difficulty of Being Good. "I consider him one of the best Indian authors," Gopalakrishnan says. 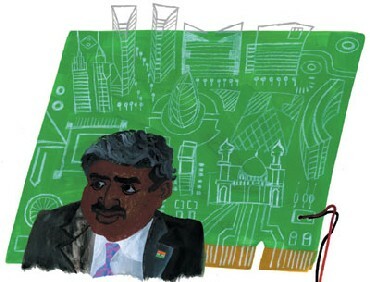 A man of few words, Gopalakrishnan himself has no plans to write a book, unlike his former colleague Nandan Nilekani, whose book, Imagining India: The Idea of a Renewed Nation, was published early last year. "My writing is 'to the point'. I find it challenging to even think of how to fill 200-300 pages," says Gopalakrishnan. "I always wonder how somebody writes a full book." Death now stalks Indian microfinance institutions!